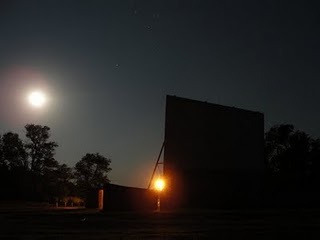 Please enjoy our list of drive-in movie theaters in Kansas. 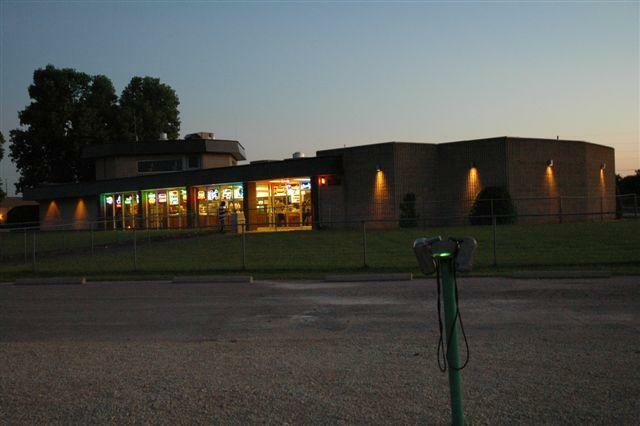 The Boulevard Drive In Theatre shows double and occasionally triple features on their single screen on weekends. 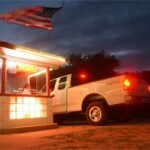 They have installed a complete digital sound system that is state-of-the-art for drive-ins. They have special events, such as concerts, and operate as a swap shop on Saturdays and Sundays. 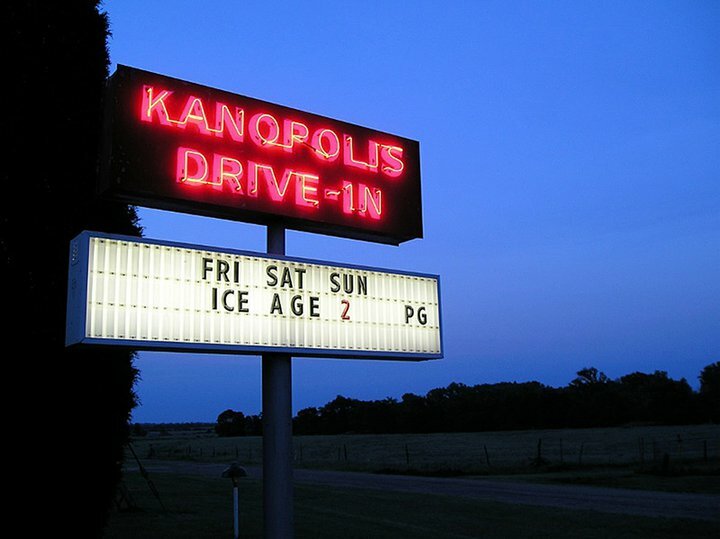 The Kanopolis Drive-In Theatre has been open since 1952, and focuses on providing family entertainment. They have a children’s play area up near the screen and are themselves family-owned and operated. They are open from April to September. 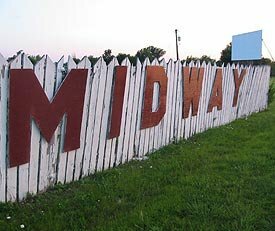 The Mid-Way Drive-In Theatre is an especially small drive in, with room for only 240 cars. However, this allows them to have very friendly service. They recently upgraded to radio sound, and have reasonable rates. Note that they maintain no web presence, so you will need to call for showtimes. 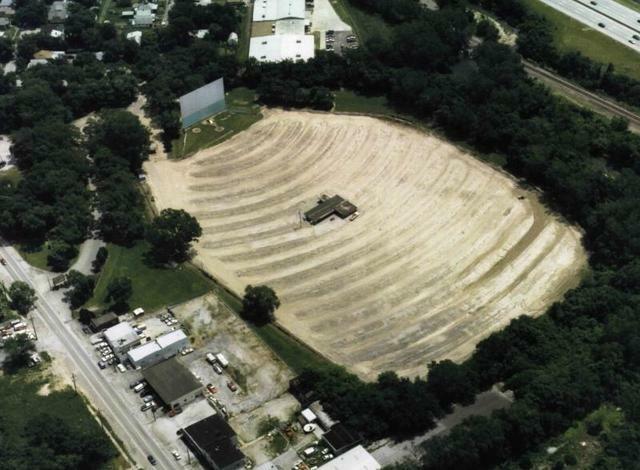 The Pageant Drive-In, founded in 1952, shows a single feature on its screen from May to August. They offer sound both on traditional speakers and on FM radio, depending on your taste. 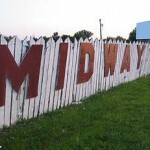 It has been consistently owned and operated by the Sill family since 1968. 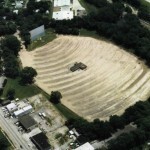 The South Drive In Theatre shows double and sometimes triple features on weekends during the summer season. You can choose whether you want to hear the movie on speakers or on FM radio. They have a full concession stand, including desserts. 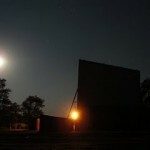 The Starlite Drive-In Theatre shows triple features on each of its two screens on Friday, Saturday and Sunday nights. 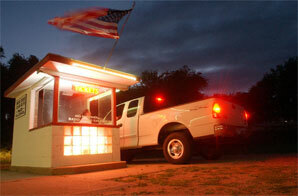 Their concession stand has the usual fare plus speciality items like funnel cakes. Credit cards are not accepted for admission, but are accepted at the concession stand. 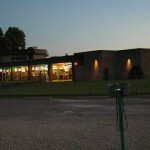 The Star-Vu Drive-In has a single screen, and shows double features on the weekend during the summer season. The theater can be rented for special events. In addition, they go out of their way to have special features. For instance, when they showed Dukes of Hazzard, they brought in the actual car from the movie.